The UC Nutrition Policy Institute would like MyPlate to include an icon for water, such as the one shown above. 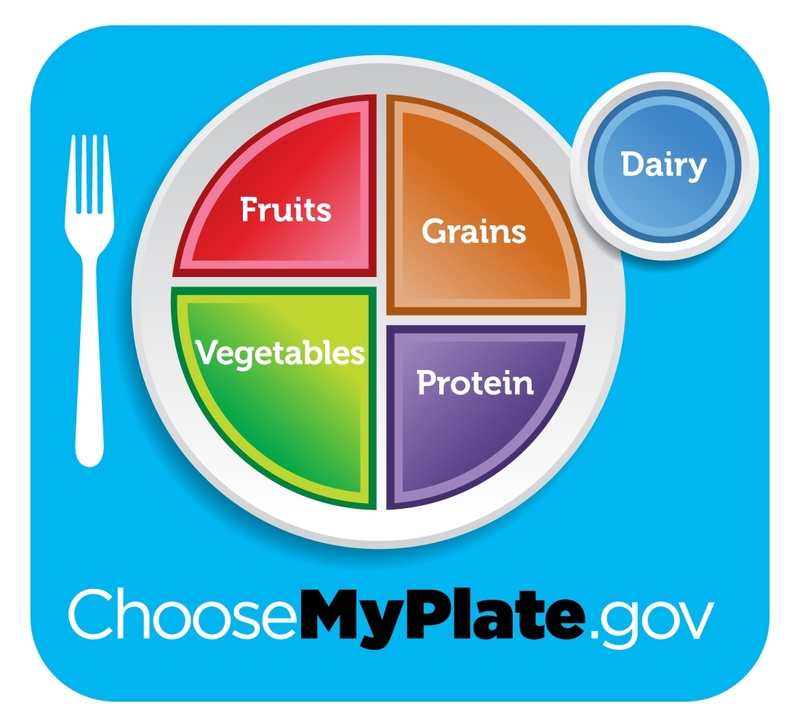 The USDA introduced MyPlate in 2011 to reflect the message of its Dietary Guidelines for Americans, 2010. Federal law requires that the guidelines be reviewed, updated and published every five years. The ultimate goal – a new water icon on MyPlate – is important because of its high visibility. 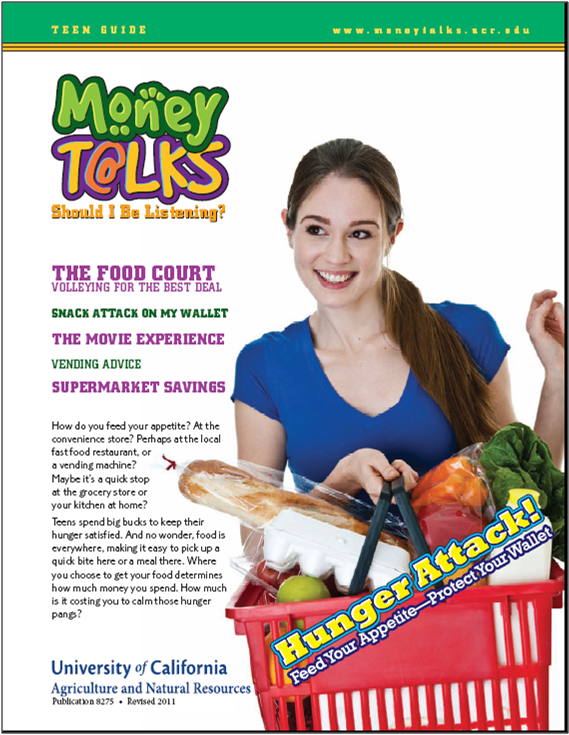 MyPlate is found on elementary school classroom walls and cereal boxes; at community gardens and the grocery store produce aisle. In preparing for a visit with USDA officials at their Washington, D.C., headquarters, Christina Hecht, UC Nutrition Policy Institute coordinator, asked UC Cooperative Extension specialists in California for input on MyPlate. Their enthusiasm was unanimous. 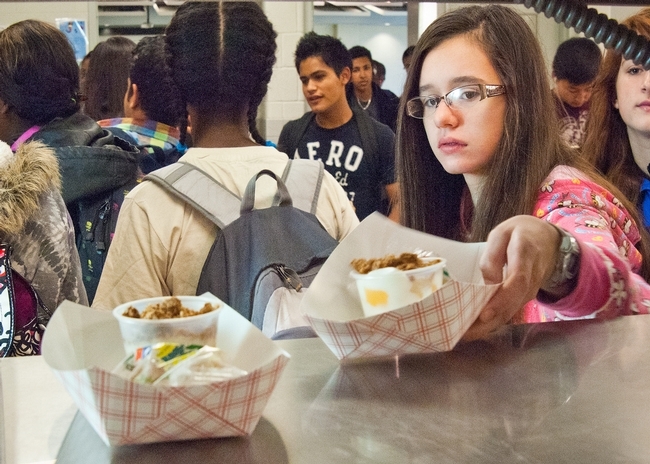 She shared the California educators' thoughts on MyPlate with her USDA contacts. “When they get a story from the field, it really matters to them,” Hecht said. Ritchie and her colleagues around the country submitted a “Best of Science” letter to the Dietary Guidelines Advisory Committee imploring them to strengthen the language for drinking water. Instead, they are drinking sugary beverages. 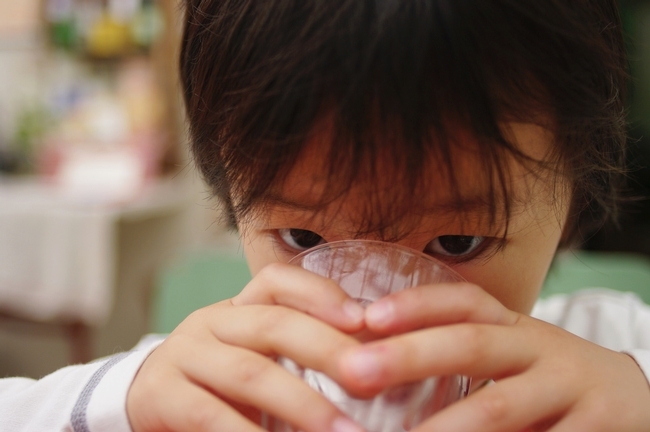 National surveys in the early 2000s found that, on any given day, 84 percent of 2- to 5-year-old children drank sugar-sweetened beverages like sodas, sports drinks and fruit punch. The calories amounted to 11 percent of the children's total energy intake. 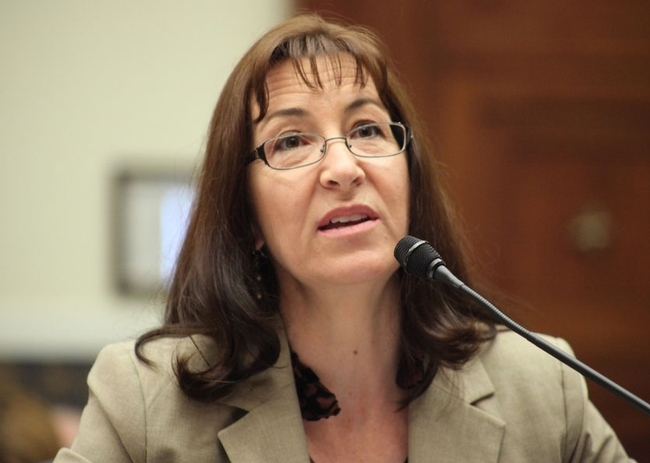 Lorrene Ritchie, director of the UC Nutrition Policy Insitute, testifies at a congressional hearing about strategies to reduce childhood obesity in the U.S.
Sugar-sweetened beverages – including sodas, juice drinks, pre-sweetened tea and coffee drinks, and fortified or energy drinks – are among the top sources of calories for children and adolescents. Between the late 1960s and early 2000s the consumption of sugar-sweetened beverages doubled. While the American Heart Association recommends no more than 6 teaspoons of added sugars per day for women and 9 teaspoons per day for men, the average U.S. consumption is 17 teaspoons per day. Low-income populations have higher intakes of sugar-sweetened beveragesand Latino children drink more of them than white children. Cardiovascular disease, present in more than one-third of American adults, is now understood to be exacerbated by the inflammatory effects of excess sugar consumption. 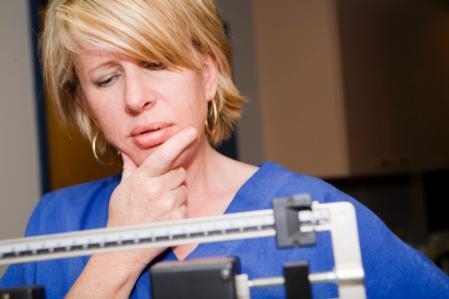 Excess sugar consumption is a risk factor for non-alcoholic fatty liver disease, a precursor to diabetes. To learn more, read the Best of Science Letter signed by 14 prominent nutrition educators from around the nation by clicking the link below. "As a mom, I can already tell how much this is going to help parents across the country," said First Lady Michelle Obama in a live-streamed news conference this morning. "When mom or dad comes home from a long day of work, we're already asked to be a chef, a referee, a cleaning crew. So it's tough to be a nutritionist, too. But we do have time to take a look at our kids' plates. As long as they're half full of fruits and vegetables, and paired with lean proteins, whole grains and low-fat dairy, we're golden. That's how easy it is." Obama acknowledged that MyPlate won't end the epidemic of childhood obesity on its own. 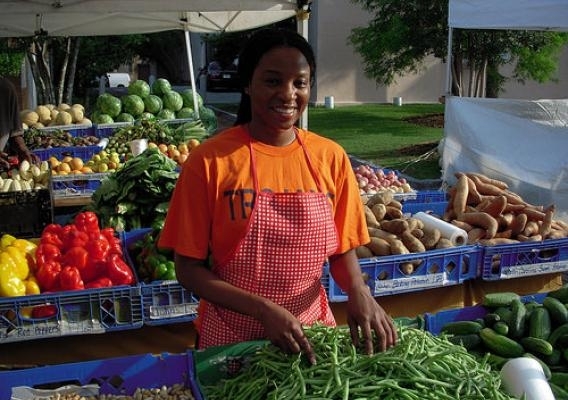 "This can't ensure that the community has access to affordable fruits and vegetables. There's still work to do," she said. "It can't spur kids to get up and move. There's still work to do. But we can build momentum with MyPlate. Today is an enormous step in the right direction." At the press conference, Dr. Regina Benjamin, the US Surgeon General, said Americans needed a simple and easy tool to help them make healthy choices. She praised USDA's "tremendous effort to create a powerful, simple, understandable message." 'MyPlate' is a bold, colorful icon resembling a sectioned dinner plate. 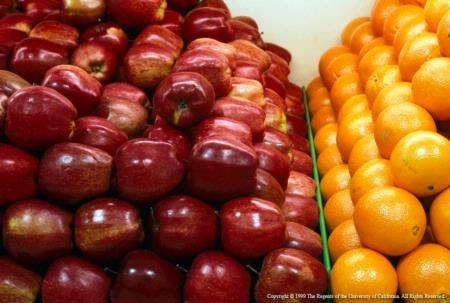 Separate fruits and vegetables sections combine to fill half the plate. The other half of the plate shows grains and protein. A circle representing dairy is off to the side. 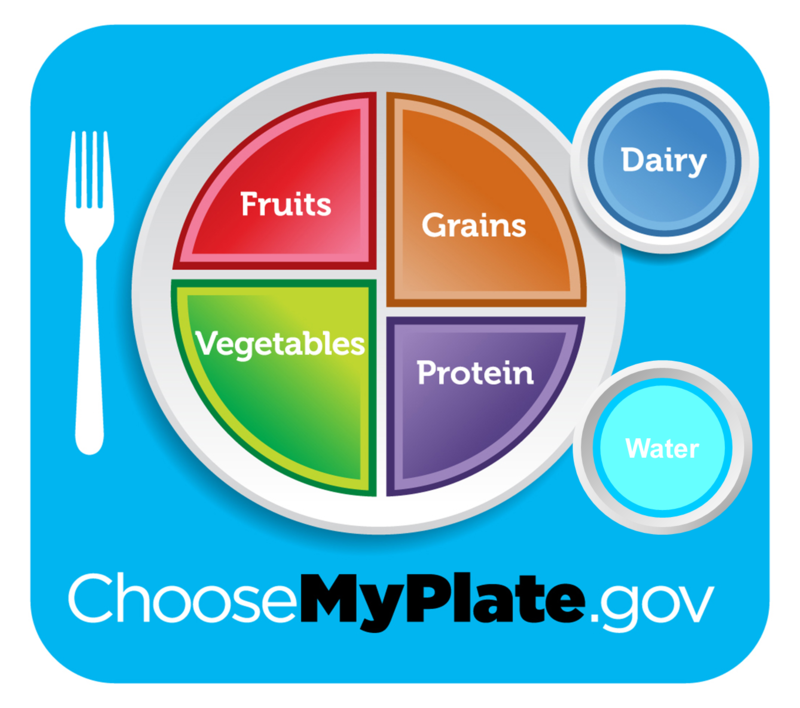 In a video introducing MyPlate, USDA secretary Tom Vilsack encourages Americans to choose healthier food and balance it with exercise. "Next time you sit down for a meal, before you eat, think about what's on your plate. 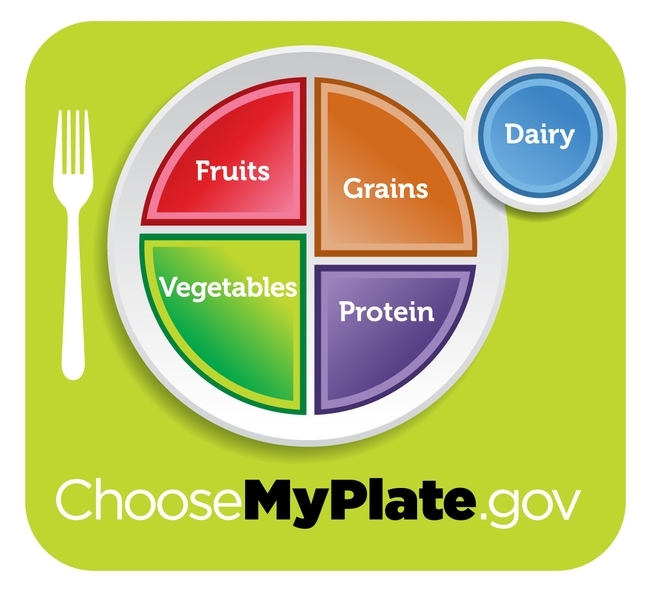 In the months and years ahead, we hope MyPlate becomes your plate," Vilsack said.